Last season marked the first time the Minnesota Wild had made the playoffs since winning the Northwest Division in 2008, but would be matched up with the Stanley Cup favorite, Chicago Blackhawks. This season, just squeaking in again, Minnesota is in a battle with longtime rival, Colorado, after the Avalanche won the division for the first time since 2003. I wonder how that season ended up for them. Looking back to the first three games of last seasons playoffs for Minnesota and comparing them to this years, I see a lot of things similar in the ways the games have been played. Starting with both game one's, an overtime post would cost Minnesota that important game one victory to gain momentum in the series. Last year it was Jason Zucker hitting the crossbar, and this year was Jason Pominville ringing one off of the far post. One big difference in each series first games is that Minnesota would dominate the first two periods and much more scoring in the game because of it. In game two, the Wild looked like they were in awe of the young and speedy Avalanche. Seeming to not get anything together, even after scoring the first goal, Colorado would score three unanswered to skate to a game two victory and take a 2-0 series lead going into game three at Xcel Energy Center, just like the Blackhawks would last year. Although game three between Chicago and Minnesota was played pretty even and Minnesota would dominate the Avs last night, the result was still the same between the two games, young guns scoring in dramatic fashion in overtime. Last year was Jason Zucker who fired a rocket from near the goal line and would beat Corey Crawford for the victory. This year, it was Granny's turn. In a play that was dominated by him, Granlund would fight off a check, take the puck to the slot, and score laying flat on the ice with the Avalanche goaltender having no chance at making the save, giving the Wild a game three victory once again. Compared to last season, this Wild team is much stronger, much more skilled, and have much more chemistry then they did at this time last season. I would expect another strong showing for Minnesota Thursday night and for the rest of the series. If they play like they did last night for the rest of the series, Colorado will be going home early this playoff season. Mikael Granlund scores the game winner at the 5.18 mark of the first overtime in game three. Av's still lead the series 2-1. Drew Stafford to the Wild? One of the rumors to be surfacing today is the that Minnesota Wild might be interested in former UND Fighting Sioux forward Drew Stafford. Apparently, some of the Sioux hating Gopher fans don't like the idea. One person that might benifit from a change of scenery might be Stafford. Michael Russo, Russo's Rants --- As I reported in today’s newspaper and on last night’s blog, multiple sources tell me the Wild is very interested in Drew Stafford, who has been playing at a consistently high level for some time for the Sabres. There have been lots of conversations between Fletcher and Sabres GM Tim Murray lately and the big question is whether Murray is indeed willing to trade Stafford, 28, and what the price would be. He wouldn’t be a rental. He has another year left on his contract at a pretty attractive $4 million (remember, the cap is going up), so this would be more of a “hockey trade” (one of my favorite terms; I’d love to know who coined it). So it could cost a second-tier prospect, salaried player (Wild would need to trade some cash unless it just puts Backstrom or Harding on LTIR, which allows you to top the cap ceiling by their cap hit if you need the space) and/or a pick. Stafford is very good friends with Zach Parise from their days at Shattuck and North Dakota, he’s a former teammate of Jason Pominville. (By the way, even though I'm mentioning Stafford on here, I'm not saying it's going to happen. I'm sure Fletcher has many balls in the air and this is just one I've heard about). Stafford has heard same MIN rumors: "There's chatter about everything. .. It happens. We're in here watching the same thing all of you are." Wow! What a nice goal... Jason Pominville is having a decent season for the wild and that was goal 19 on the year. With the goal Pominville now has (19g-14a—33pts) on the season. 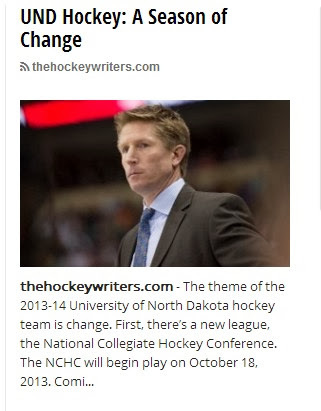 Change is the theme around the UND locker room this year. The Minnesota Wild have resigned Jason Pominville to a nice contract. Hockey Buzz: Is Thomas Vanek Minnesota Bound? I found this article over on Hockey Buzz. I wonder if this unconfirmed rumor is an e3 or an e5? Look, I like many Wild fans would like to see this happen, but you have to consider the source. If the news pertains to the Wild and it doesn’t come from Michael Russo, I am going to be skeptical. Josh Rimer, Hockey Buzz -- Last night a solid source informed me that If Thomas Vanek is moved prior to the Trade Deadline, his destination of choice would be Minnesota Wild. Fitting since he played for the Gophers in 2004, Vanek has had his off-season home in Minneapolis and trains in Edina, Minnesota. His wife is from Minnesota and he has always wanted to play in Minny, especially having good friend Jason Pominville there increases his desire to be there. The NHL and college hockey season is right around the corner. Minnesota Wild: If he hits UFA status, should the Wild try to acquire Phil Kessel? Oh I don't know he's probably one of the world's premier goalscoring right wings so I guess they probably shouldn't because who likes guys who can score goals not me and definitely not Toronto and definitely definitely not Minnesota. Russo's Rants: Pominville extension talks going "back and forth"
Hockey Wilderness: Feeling Minnesota: Why not Phil Kessel? s/t to Kukla Korner... So, L.A. Kings forward Dustin Brown was suspended two games a week and a half ago for elbowing the Minnesota Wild forward Jason Pominville, probably ending his season and now we see Brown doing this. Last night, Brown was assessed a two minute minor at the 16:58 mark of the first period for tripping Blues forward Jaden Schwartz, but you can see this could have been a lot worse. So, I am interested in knowing what the explanation for this one is? To me, it would appear that Brown didn't learn his lesson from last week. We are told that he's not a dirty player and that he's only been suspended once by the NHL. I guess, I don't think he's a dirty player either, but the fact remains that he's leading with his elbow. I am wondering why more people more upset with this hit? We have a guy that was hurt by what appears to be a legal hit, the guy that hit him is going to have a hearing today and the hit in question is receiving a ton of chatter. If Brown connects with that elbow on Jaden Schwartz, he probably has yet another hearing. This would be his second in a two week period. Had Brown been facing another hearing, he would've been probably been facing his second suspension in less than two weeks. Thoughts on this one. Edit: Gryba was given a two game suspension by the NHL for his hit on Eller. Brown, "Pominville ran into his elbow"
I am not a Dustin Brown hater by any stretch of the imagination, he's a good American players, but when you make a mistake you own up to and you move on. These comments that he made about his elbow on Jason Pominville are laughable, if not insulting. Helene Elliott and Lisa Dillman, Los Angeles Times – Obviously we were disappointed in the decision, quite honest," Sutter told The Times. "Because it was exactly what Brownie says is exactly what happened. There was no intention, or leading. When you’re playing your wrong side, you protect the puck on that side of the ice. That’s what you do, you keep two hands on your stick. Does Dustin Brown expect us to believe that? Seriously? It's not very hard to see what your intent was, that was a chicken wing elbow, Brown meant to make contact with the head of his opponent. Moving forward, I am glad that Brendan Shanahan and the National Hockey League’s Department of Player Safety had the stones to suspend Brown for this hit. I expect any player to be suspended for these kind of hits, because these are the types of hits, that the NHL is trying to eliminate from the game of hockey. Regardless of who is doing them. @bush1124 The NHL has no choice, they have to suspend him for this hit. First off, I was right, the NHL had no choice, they had to suspend Dustin Brown for his hit on Jason Pominville. In my opinion, the hit was a text book violation of the NHL's Rule 48. Obviously, we can debate that if you want. Also, this suspension doesn't make Brown a dirty player, but he does play with an edge and he does play on the edge. It was only a matter of time before he was suspended by the NHL. Michael Russo, Russo Rants --- Los Angeles Kings captain Dustin Brown has been suspended the final two games of the Kings regular season, the Los Angeles Times' Lisa Dillman reported. The suspension stems from Brown's elbow to the face of Wild winger Jason Pominville in the second period last night. Brown, who had played in 314 consecutive games, will be well-rested for the beginning of the playoffs next week. The first of those games comes tonight against Detroit, which is probably not a good thing for the Wild, which is being chased by the 9th-place Red Wings (three points back with three games left). "I had the puck on my stick, he’s coming to hit me and I’m just bracing myself," Brown said when I asked him about the elbow last night. The Wild didn't practice today, but official word thus far is Pominville is day to day with an upper body injury. GM Chuck Fletcher said it was too early to know yet if the Wild needs to recall a forward. If Pominville is sidelined, the Wild has no extra on the roster right now unless Mike Rupp is ready to return Friday from a knee injury. Otherwise, the Wild will have to look to the Houston farm. s/t to Michael Russo... In case anyone is confused, this was a text book hit to the head and a violation of rule 48. Jason Pominville's head is targeted by Dustin Brown. Check out this dirty elbow by the Kings forward Dustin Brown on Minnesota Wild forward Jason Pominville, there was no call on the play and he didn't return to the game after the hit. This is unacceptable and it should be a 2-3 game suspension from the NHL, but I can tell you right now, that Department of Players Safety, led by Brendan Shanahan will not give Brown the suspension he deserves, because we are approaching the Stanley Cup playoffs. I would be very shocked if he is given the suspension that he deserves. I am sure that the Buffalo Sabre fans aren't going to be too pleased with this goal but, newly acquired Wild forward Jason Pominville's scores this beautiful goal, his first wearing a uniform for the Minnesota Wild. Chalk up a nice set up from former Fighting Sioux forward Zach Parise. Pominville had a (1g-1a—2pts)tonight against the Bluejackets. Check out this weird goal by former Gopher and current Buffalo Sabre Thomas Vanek. Talk about a gift goal, the Penguins attempt to clear the puck out of the zone, the puck bounces off a stanchion and right on the stick of Vanek who shots the puck past Brent Johnson. You got to love Rick Generett and his call of the Buffalo Sabre's goals. Nothing makes me happier than watching Boston Bruins tough Milan Lucic guy work over a rat like Patrick Kaleta. Kaleta is one of those players that thinks he is pretty tough when he is out on the taking runs at other teams skilled players. I am actually surprised that Kaleta fought a guy like Milan Lucic. At the end of the night Kaleta catches the ire of Bruins defenseman Adam McQuaid. McQuaid decided he had seen enough of Kaleta's on ice antics and absolutely clobbers the Sabres rat in the head with a monstrous right hand.